What Is Prostatic Intraepithelial Neoplasia (PIN)? Only high-grade PIN is considered a precancerous condition. Many men typically begin to develop low-grade PIN when they are younger but won’t necessarily develop prostate cancer. The possible link between low-grade PIN and prostate cancer however is still unclear. There are no known risk factors associated with PIN although there are some that believe that the risk factors are the same as those for developing prostate cancer. PIN is found more frequently in men who are older than 50 years of age, but can develop in men as early as in their 20s. In addition PIN does not display any discernible signs or symptoms. Diagnostic tests are not done for PIN. 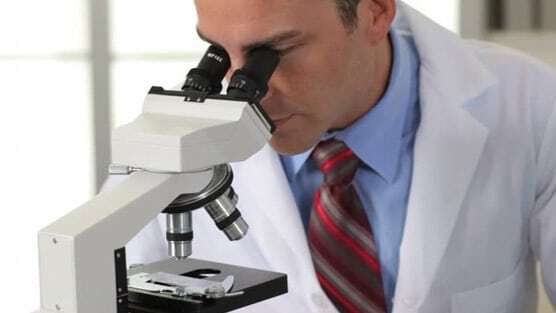 It is found when a biopsy sample is examined under a microscope by a pathologist after a transrectal ultrasound guided biopsy of the prostate. A biopsy is ordered when a doctor suspects the presence of prostate cancer. PIN itself usually doesn’t require treatment unless it progresses to cancer. If PIN is identified as being high-grade and present in several areas of the prostate, preventative treatment may be administered. Examples of treatments include anti-androgen agents, 5-alpha-reductase inhibitors and selective estrogen receptor modulators. These drugs may reverse high-grade PIN, possibly reducing the risk of prostate cancer, but this has not been proven. Men who have been diagnosed with high-grade PIN will be monitored closely to watch for any potential signs of prostate cancer. Follow-up visits will usually be scheduled every 6 months, for at least 2 years.